I’m always here for a fabulous one-piece-and-done look. And, jumpsuits have become my one piece of choice. In addition to making it easy to get ready, jumpsuits are appropriate for all occasions. Find the right jumpsuit, and you have a piece that can take you anywhere. This jumpsuit season, the utility jumpsuit (see an Economy of Style flashback in one here) is having a moment. 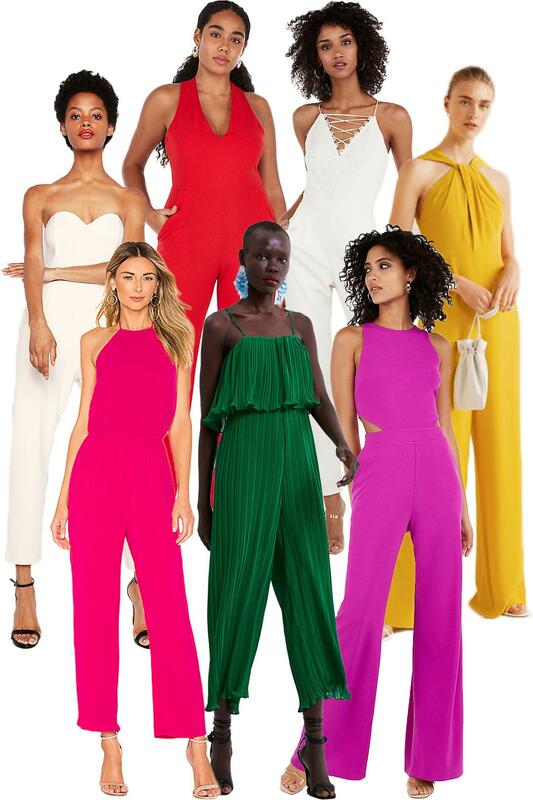 I’m especially fond, though, of colorful jumpsuits in sharp silhouettes. I’m sharing examples of those styles in today’s post.